Our epoxy floors are durable and they look GREAT. With hundreds of colors/patterns to choose from and same-day project completion your best choice is always Epoxy Flooring Done Right. 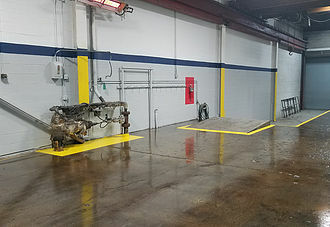 ​Epoxy Garage Floors are highly resistant to oil, gasoline, transmission fluid, cleansers and more. Your epoxy floor will keep its great look for years and years. 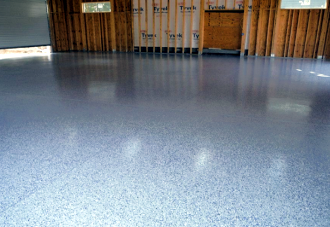 An added benefit is epoxy flooring will reflect light better in your garage or work space. Stunningly beautiful and durable, we can also apply NO-SLIP epoxy flooring in your business. Our flooring provides a seamless, sound deadening surface that will complement your business while providing a much safer environment. Epoxy Flooring not only looks awesome in your commercial space, it helps protect the concrete beneath it - pus it is resistant to bacteria and germs because of the smooth, seamless application - making it perfect for hospitals and clinics and food service environments. 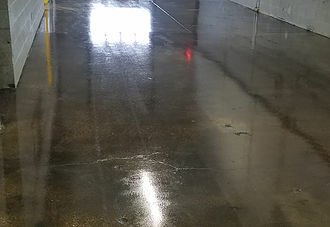 Epoxy floor coatings are designed to withstand heavy traffic and weight as well as extreme temperature fluctuations. Our NON-SLIP, textured floor adds another measure of safety. ​Most industrial applications will last for many years and offer these benefits.